I know I know, everyone loves blogs with white pictures but to be fair to these pastel colored eyeshadows, a dark background was what I went for. 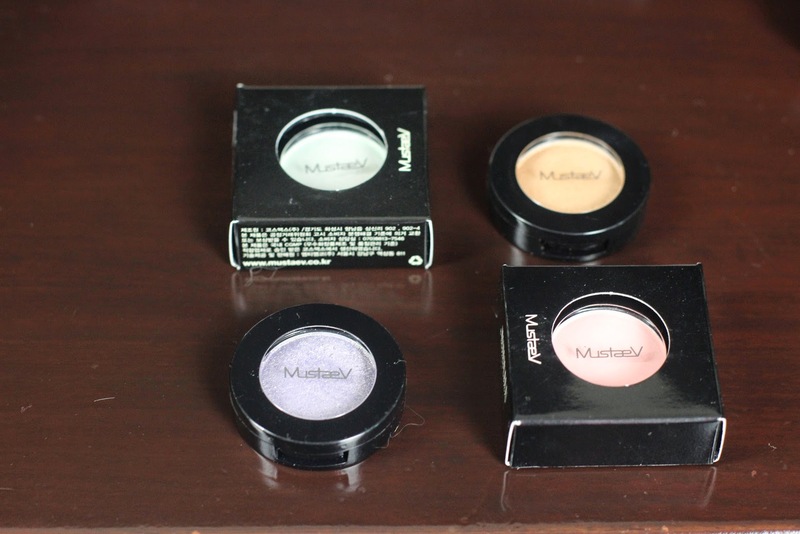 Recently, Mustaev sent me four eyeshadows to play with. Although I've never heard of the brand before, after some research I learned that their products are developed in the beauty mecca of Korea, tried and tested by Korea's own makeup artists. 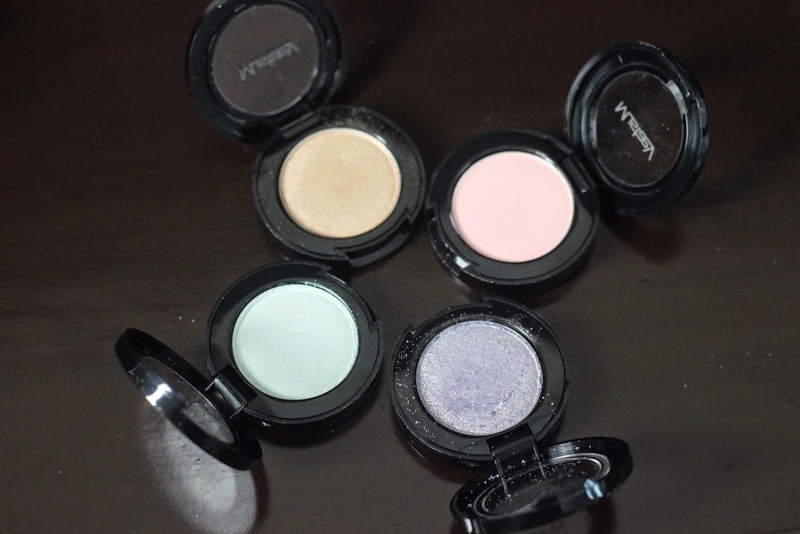 Having learned that, I said yes to sampling these eyeshadows and here are my first impressions. 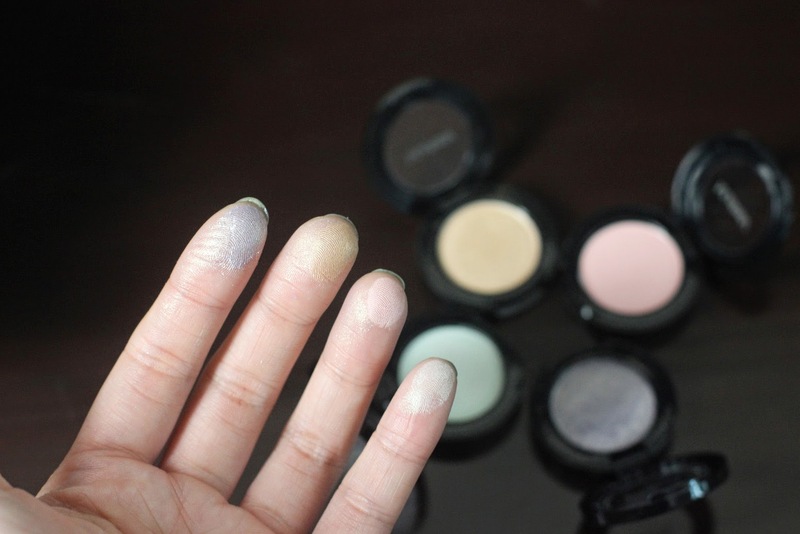 I went for pastel shades - 2 shimmers and 2 mattes, as this was the best way to test out the quality of the shadows with regards to pigmentation and crumbliness. My favorite has to be Antique Gold, not only is it a wearable color and one of my favorite colors at the moment for Spring, but because it's shimmer is so subtle and not too overwhelming. Aura, on the other hand, is a bit more glittery although easily blendable so do take note when picking your shades. The shadows are so finely milled it glides on to my eyelids really nicely and acts as a nice base, or perfect on it's own. The lighter pastel colors aren't super pigmented, but that's what I love about them as they create a nice subtle shade and helps to brighten up the eyes. What I love most though, is the packaging. Slim, compact and remind me very much of poker chips - they are great for travelling or just on-the-go touchups. They easily fit in your pocket, let alone your makeup bag! All in all, I am impressed and am definitely eyeing the makeup brushes next! *Products were sent to me for consideration by the company.